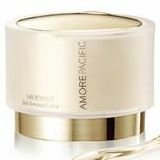 FREE AmorePacific Skin Care Samples! It’s not too late! Sign up for news and offers on us.amorepacific.com to receive four samples of AMOREPACIFIC’s best selling products! Click here and create an account. After you do, you'll get a popup that let's you "redeem" for your free samples!